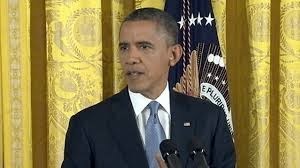 Today after reviewing the ever-increasing autism prevalence numbers, President Obama called for a national strategy to address the issue, promising resources to determine a cause and courses of treatment, and to help the hundreds of thousands of adults with to find employment and safe housing. You didn’t think our federal government would actually mount a response to find out what is causing this disaster, did you? Heck—even though the Affordable Care Act, aka, “Obamacare” lists behavioral health treatment as Essential Health Benefit #5, the federal government still will not require health insurers to cover Applied Behavior Analysis, the gold standard of care for individuals with autism. The Centers for Disease Control calmly announced the “new” numbers last week—which are already dated in that they counted children who were born in 2002…yes, children who are 12 years old now! We need numbers for 3 year olds. Why is it the CDC can count every case of the sniffles each year and label it “Flu”, but they can’t come up with current statistics for autism? Instead, our government pats itself on the back for “better identification” and “better record keeping”, as if doctors were unable to diagnose autism prior to a few years ago. The DSM-IV was used from 1994 – May 2013 to diagnose autism…to those who say we keep changing diagnostic criteria take note here. To those who say autism is simply better identified today, the DSM-IV such things marked impairments in such areas as eye contact, facial expression; appropriate social behaviors; delay in or total lack of language; stereotyped and repetitive motor mannerisms (e.g. 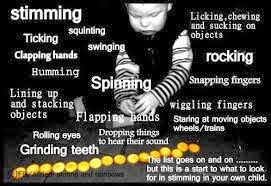 hand or finger flapping or twisting, or complex whole body movements). A quick visit to an on-line dictionary defines the term “marked” to mean “strikingly noticeable; conspicuous.” A 30% increase in autism prevalence in two years cannot be explained away by better diagnosis or better records. 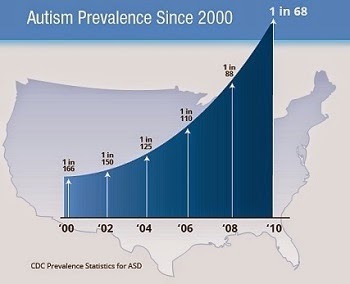 At what point does autism register as epidemic? It doesn’t take a genius to look at the chart above and see where it’s heading…will our government mount a meaningful response? Judging by the calm announcement of the statistics by the CDC, it doesn't look that way.